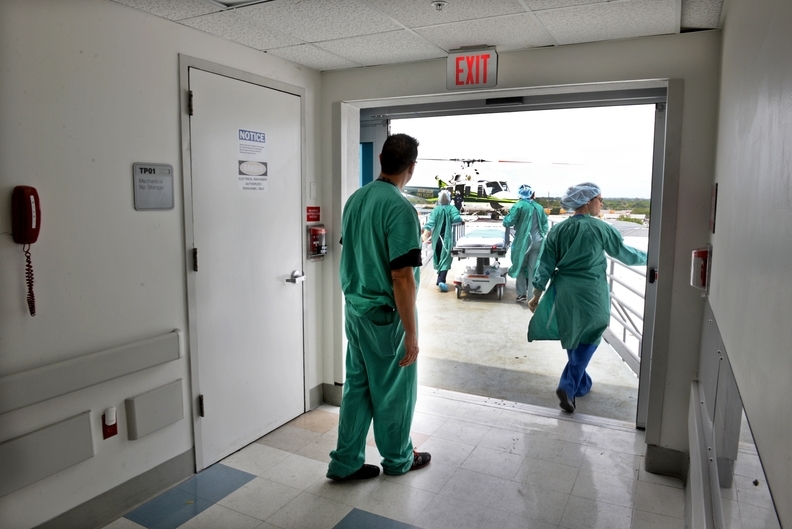 Not-for-profit hospitals have begun to rein in expenses, but it's not happening as fast as revenue growth is dropping, setting the sector on a tenuous precipice, according to a new report. The median annual expense growth rate fell from 7.1% in 2016 to 5.7% in 2017 but annual revenue growth declined faster, from 6.1% to 4.6%, despite increased merger and acquisition activity, according to Moody's Investors Service. This marks the second consecutive year expenses outpaced revenue, which will remain the largest strain on not-for-profit hospital profitability through 2019, Moody's analysts said. "This is no longer solely about expense reduction. If not-for-profits just focus on that, they will be out of business in the next few years," said Lyndean Brick, president and CEO of healthcare consultancy the Advis Group. "They have to grow volumes, be creative and do things differently than they have done." Median Medicare and Medicaid payments as a percentage of gross revenue slightly increased to 45.6% and 15.5% in 2017, respectively, while the higher-paying commercial sector nudged down to 31.9%, according to Moody's. Government payers' share of hospital revenue will likely increase as the population ages, which has manifested in each of the last five years. "They have to monetize their assets," Brick said. "They have to look at nontraditional revenue as a key driver in their future success." Moody's expects more margin pressure through 2018 after median margins fell to an all-time low of 1.6% operating margin and 8.1% of operating cash flow. Income from operations was nearly cut in half from 2016 to 2017. While not-for-profit hospitals have reduced their debt over the last five years, their debt service coverage ratios have softened, Moody's found. Funding capital needs through debt financing could exacerbate that trend, Moody's analyst Rita Sverdlik said. "Reversing sluggish volume trends and growing profitable service lines will be critical to improving the sector's financial trajectory over the near-term as most hospitals continue to operate in a fee-for-service environment," Sverdlik said in a statement. "It's important that the healthcare industry underscores a similar cost reduction pressure that hasn't yet been fully achieved on the supplier and vendor side," she said. "There needs to be some pressure on them to drop their prices." Median outpatient growth rates exceeded inpatient growth rates for the fifth straight year as the sector shifts to less expensive care. Median 1% growth in inpatient admissions in 2017 marks the lowest rate of growth in the last three years. Similarly, the reduced median rate of growth in outpatient visits to 2.2%—down for the first time in five years—and the decline in the median growth rate of outpatient surgeries to 0.8% speak to the increasing supply of competing sites providing these more lucrative services, Moody's analysts said. Inpatient volume decline is part of the reason why hospitals have been closing at a rate of about 30 a year, according to the American Hospital Association. "They can't grow volume if they are not right-sized," Brick said. "That might mean shutting down a unit that is marginal or shut down a hospital so you can focus resources on programs and venues that have real potential for growth." "The No. 1 thing to do is think outside of the box," she said. "They have a captured market that they can sell to, just as Amazon Prime members are being marketed to."